The problem occurs when faulty devices are being charged, and the problem is battery related, rather than power adapters or circuitry. Apparently, it affects only a small percentage of devices, but when shipments are in the millions; that still amounts to a very big problem since identifying the faulty ones won’t be an easy task. 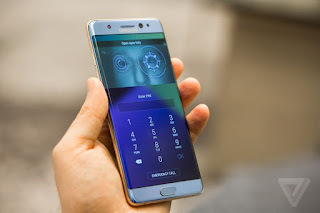 However, some online sources has cited an anonymous official saying that the Note 7 batteries were sourced from both China and Korea, and it's the Korean-made batteries that are affected. Nonetheless, Samsung is recalling all models to avoid any new occurrence. At a press conference to announce the recall, Samsung said that 35 cases of the fault have been reported to date. It estimates the problem affects only 24 in a million devices, which equates to roughly one for every 42,000 sold. Koh Dong-jin, president of Samsung's mobile business, apologized for any inconvenience the recall may cause customers, but said it was important to put safety first. By all accounts, this will be the highest-profile consumer tech recall in history, but it's by no means the first. Apple has had its fair share of issues, from the Beats Pill XL recall last year to the iPhone 4 Antennagate (which resulted in free bumper cases being handed out). Fitbit had huge problems with skin irritation on the Force fitness tracker, and ended up recalling all of them. The largest recall of all, however, surrounds Takata airbags -- to date, well over 50 million have been recalled. The recall is obviously a big embarrassment for Samsung. Over one million phones will need to be replaced at considerable cost, and the halt in sales comes at a time when the device was still being rolled out globally. The company's mobile growth had stagnated over recent quarters, but had just begun to tick up with the launch of the Galaxy S7 and S7 Edge. It was hoped that the Note 7 would propel growth further, but any positive impact the device's launch has had will now be considerably lessened. Once the recall is complete, Samsung will need to convince potential customers that the device is safe for use, and persuade them not to buy the (by then freshly-announced) iPhone 7 Plus instead. So what happens now? Samsung has halted the sales of the device worldwide, and is preparing replacements. It says it'll take around two weeks to get the pieces in place, and it'll exchange devices like-for-like. Most carriers around the world had already halted sales, and any that hadn't will now, to ensure the faulty devices don't spread any further. The precise details of how the recall will work are likely to be announced on a regional basis. "Samsung is committed to producing the highest quality products and we take every incident report from our valued customers very seriously. In response to recently reported cases of the new Galaxy Note 7, we conducted a thorough investigation and found a battery cell issue. We acknowledge the inconvenience this may cause in the market but this is to ensure that Samsung continues to deliver the highest quality products to our customers. We are working closely with our partners to ensure the replacement experience is as convenient and efficient as possible." 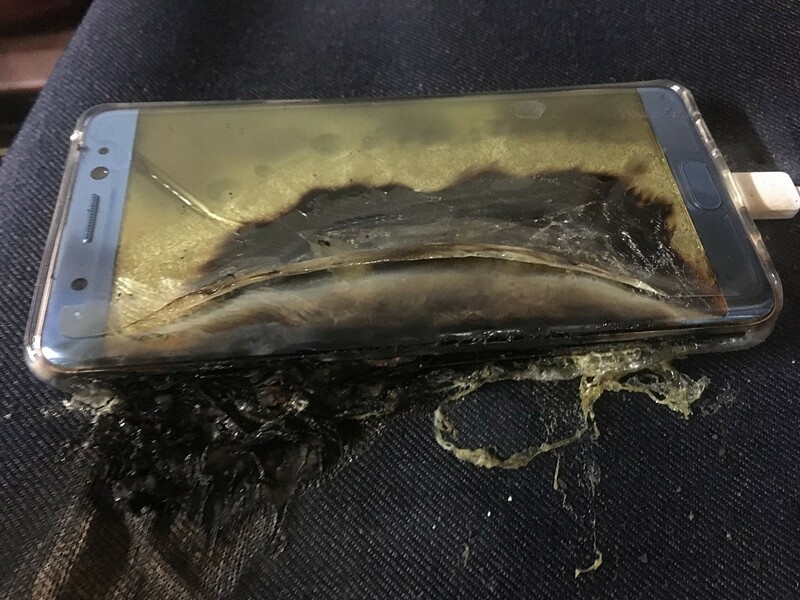 In addition to Samsung's plan to replace devices for customers who already purchased a Note 7, carriers in the US have announced how they will handle the problem as well. T-Mobile will offer a full refund on the handset and any accessories without restocking or shipping fees, but customers can keep the free Netflix subscription they received for pre-ordering. Verizon will also allow returns and offer refunds through the end of the month. Sprint is taking a slightly different approach: Customers can visit their local store to get "a similar device until the issue is resolved." Last but not least, AT&T announced it will allow customers to exchange the Note 7 for a new handset and return any accessories. As I've already mentioned, all four carriers have suspended sales of the Galaxy Note 7 following the recall announcement from Samsung.